Coming from breeders Origin, this sweet indica bud is a legend in the industry and offers a pretty gnarly high likely to leave you in a blissful daze for hours. 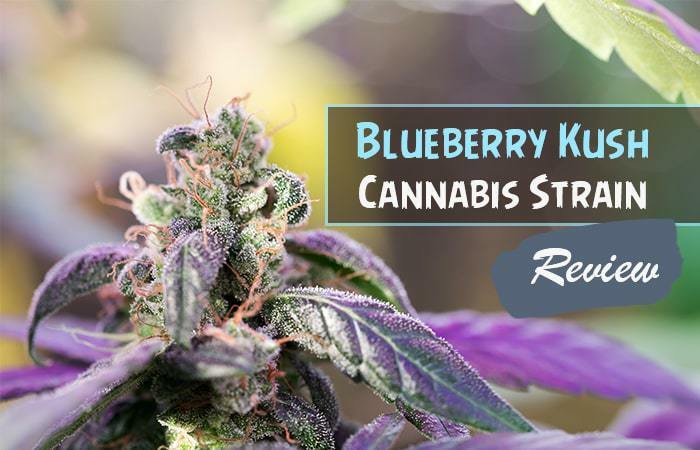 We cannot get enough of Blueberry Kush, so today we want to share with you the lowdown on what makes this a badass strain and a force to be reckoned with! Whatever your preference may be, Blueberry Kush is up there as one of the best buds, and one everyone should try! So to find out more, stick around and find out why you need to add Blueberry Kush to your life! If you haven’t tried Blueberry Kush before then you are truly missing out, this fruity flower stems from a hybrid of the aptly named Blueberry which dates back to the 1970s as a product of exploratory breeding by DJ Short, and the famous legend that is OG Kush. Much like its parent strain, Blueberry Kush packs one hell of a high, with THC levels between 22-24% it is a potent indica and serves as a fantastic evening or night time strain. If you are on the hunt for a strain you can mellow out to this one is worth a try, a much-deserved winner of the 2000 High Times Cannabis Cup, it is a real legendary strain.